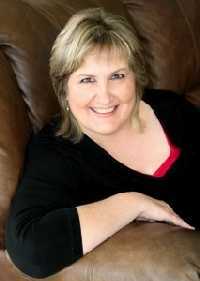 Presented by Sarah J. McNeal, author of contemporary, historical, paranormal, time travel and western stories. Years ago, after my father died, when I received Grandfather McNeal’s family trunk, for the very first time, I looked at the things that lay beneath the false bottom. Before then, Pop had only shown us the things at the top of the trunk, things like pocket watches, clay and wooden smoking pipes, wire rimmed glasses, a huge magnifying glass, and other small items. I was very curious about what lay beneath that false bottom. After I removed the false bottom, I discovered a photo album with all the pictures Uncle John had taken while he toured the United States and Canada on his motorcycle. I found his death certificate, birth certificate, an envelope containing all the news clippings of his drowning and a two letters he wrote home to his family. Uncle Donald, on the other hand, must have written home every week because there were quite a few letters from him. The trunk was full of old pictures, tintypes, marriage, birth and death certificates, letters from other family members, a childhood drawing by my sister, Mary, my baby book and a school paper with the word purple colored with purple crayon that I enthusiastically colored having discovered the color for the first time. And there were other things that didn’t have anything to do with family; among them two rolled up posters from an old rodeo. One poster was of a cowboy on a horse, and the other was an American Indian on a horse. The posters were very colorful and I could tell they were quite old. I knew that if I didn’t do something to preserve them, they would eventually deteriorate. I had both posters framed with acid free paper behind them and spacers so they wouldn’t touch the glass the way museums preserve such things. It was certainly worth the money it cost to do it. It wasn’t until I read a Southern Living Magazine article about the Ranch 101 in Oklahoma and saw posters of the rodeo, one of which looked just like mine, that I realized what those two posters were all about and the magnificent history behind them. 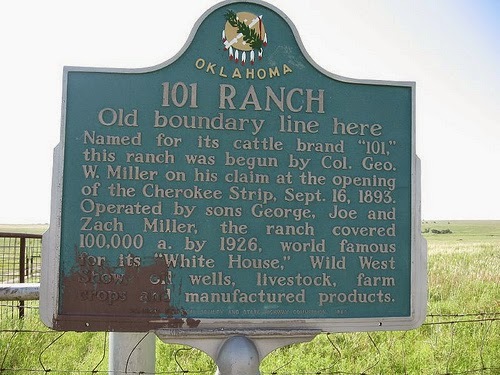 The 101 Ranch began as a cattle ranch in the Indian Territory of Oklahoma on 110,000 acres before Oklahoma was a state. It was founded by Colonel George Washington Miller, a Confederate Army veteran, in 1893. 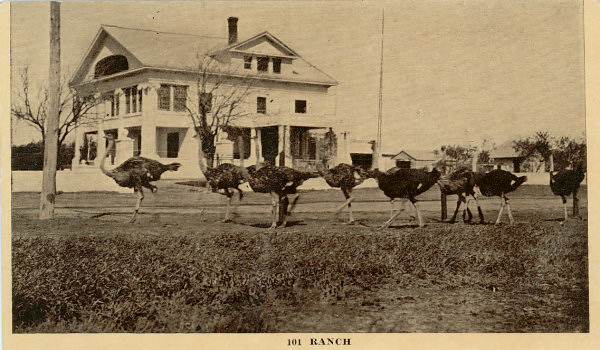 The 101 Ranch was the birthplace of the 101 Ranch Wild West Show and was also an early focal point of the oil rush in northeastern Oklahoma. When Colonel Miller died in 1903, his three sons, George Jr., Zack, and Joseph took over the operation. Their neighbor, Major Gordon W. Lillie, who performed as Pawnee Bill, convinced the brothers to produce their own Wild West Show. The brothers, who had done local performances, began shows on a national level in 1907 and began their show at the Jamestown Exposition in Virginia. From there, they began touring in Brighton Beach, New York. An exceptional equestrian, the eldest brother, Joe, was the star performer. As their show grew, it included well known performers such as Lillian Smith, Bill Picket, a black performer who also worked on their ranch for thirty years, Bessie Herberg, Bee Ho Gray, Tom Mix, Jack Hoxie, Mexican Joe, Ross Hettan, and the now elderly Buffalo Bill. Because they came into the Wild West Show business late, they suffered financial set backs due to the invention of motion pictures. They also suffered problems that cost them money during their first year after a serious railroad accident, followed by an outbreak of typhoid fever among the cast. Later, Buffalo Bill and Pawnee Bill combined their shows into an extravaganza that broke records at Madison Square Gardens in New York City. The Miller brothers took their show abroad. In England, the British confiscated the 101 horses, stagecoaches, and automobiles for the war effort while tensions were building that would lead to World War I. 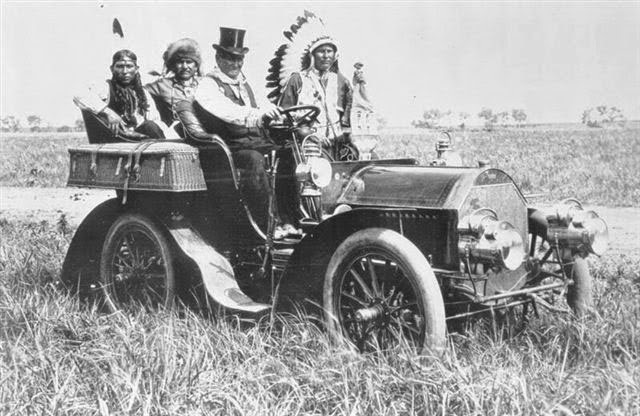 In Germany, the Oglala Indians were arrested under suspicion of being Serbian spies and were never seen again. Zack Miller became frantic and managed to get all of them out of Germany through Norway, and back to England, but he couldn’t find a steamship that would sell them passage. Finally, he was able to obtain passage on an American ship for his cast. Once they returned to Oklahoma, Joe Miller refused to pay the Indian cast overtime, and as a consequence, the entire Indian cast left. By 1916, the two youngest brothers had had enough of their volatile eldest brother, Joe. George Jr. and Zach went back to working on the ranch, but Joe had big ideas of making the show a success. He hired the aging and out of work Buffalo Bill to star in a World War I recruitment show he called the "Pageant of Preparedness." Buffalo Bill Cody quit the show and died with a year. Undeterred, Joe persisted to try to sell the show to the American Circus Corporation until 1927, but was unsuccessful. In October 21, 1927, Joe was found dead by a neighbor in the 101 Ranch garage with his car still running. His death was determined accidental by the family doctor. In 1929, George Jr. died in a car accident. Zack Miller tried to carry on alone, but The Great Depression hit and, in 1932, Zack filed for bankruptcy. The United States government seized the show’s remaining assets and bought 8,000 acres of the 101 Ranch. The show closed after the New York World’s Fair in 1939. Zack died of cancer in 1952. Back in 1908, the Miller brothers had entered into a leasing agreement with E. W. Marland, who formed the 101 Ranch Oil Company. After striking oil in 1911 at the “Wiilie-Cires-for-War” well, Marland would become a millionaire and then a U. S. congressman. Eventually he was elected governor of Oklahoma. 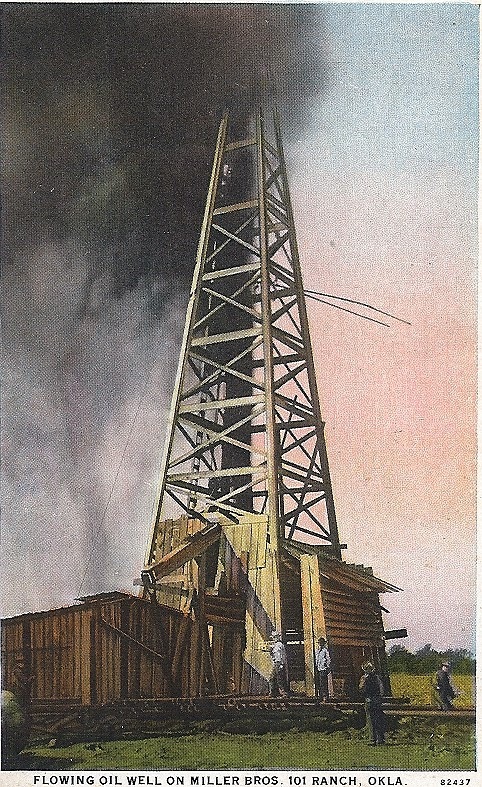 The 1911 discovery of oil led to the founding of Marland Oil Company, which later became renamed the Continental Oil Company, and finally, the Conoco Phillips Company. 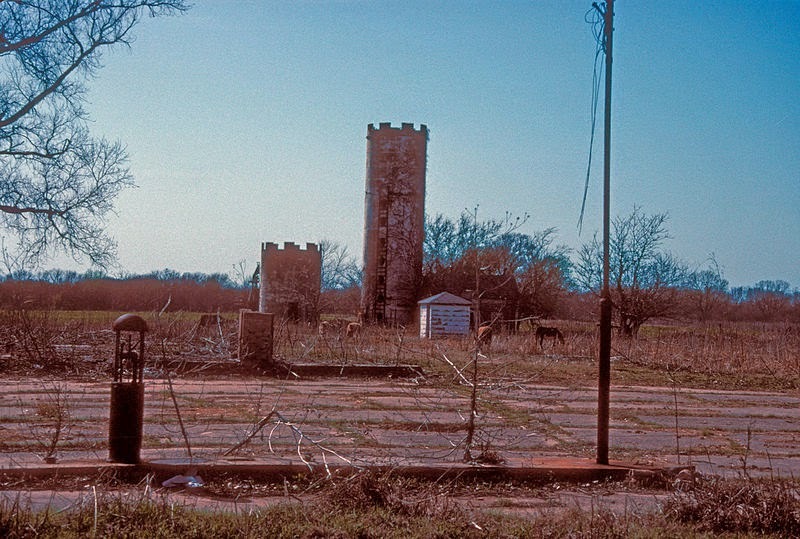 After Zack went bankrupt, the federal farm Security Administration divided what was left of the ranch and sold it off in parcels to individuals. The 101 Ranch house and most of the other buildings were torn down. Until September 22, 1987, the 101 Ranch store remained standing until it burned in a fire. Very little is left of the 101 Ranch today, but in 1990, the Oklahoma Legislature designated State Highway 156 as the 101 Ranch Memorial Road. An historic marker is located on the highway just 13 miles southwest of Ponca City. All that remains of the 101 Ranch today, is a couple silos and some building foundations of the store, other outbuildings, and the once palatial house on one acre of land. Bill Picket, was posthumously inducted into the Cowboy Hall of fame in1971. The legendary African-American cowboy was additionally honored in 1994 when his image appeared on a special issue U.S. Postal stamp as part of the notable “Legends of the West” series. His grave and the White Eagle Monument are located on the ranch grounds. 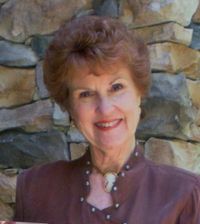 Wild West Show performer, Lillian Frances Smith. Known professionally as Princess Wenona. The Murphey’s found her grave in Ponca City’s IOOF Cemetery. Her grave was simply marked with a small stone that read, “P. Wenona”. Lillian Smith once billed as the “Champion Rifle Shot of the World” toured with Buffalo Bill Cody’s Wild West Shows and later performed with the 101 Ranch Wild West Show from the 1880’s into the late 1920’s died destitute in 1930 while a resident of Marland, OK. I was happy to learn that funding to restore some of the 101 Ranch is ongoing by several organizations and they are making progress in buying back part of the land that the 101 Ranch once owned. In January of 1996 the 101 Ranch Old Timers acquired the remaining acreage owned by the 101 Ranch Restoration Foundation and later that year opened three acres as a public picnic area. For its 1996 dedication, the United States Department of Interior supplied National Parks Service historic plaques. Hundreds attended as Indians danced in front of teepees while cowboys and cowgirls on horseback paraded with wagons and a stagecoach during the ceremony. On August 16, 1998, the Old Timers group with the City of Ponca City sponsored the dedication of a monument to the memory of the late Bill Pickett of the 101 Ranch. 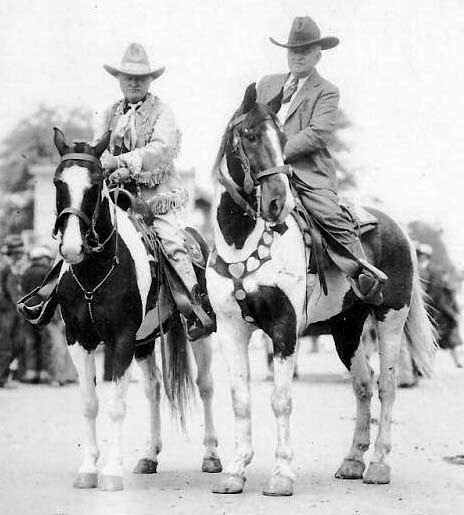 Today, that engraved flat stone monument can be found at the corner of Third St. and Grand Avenue in downtown Ponca City, OK. Pickett was both a working and performing cowboy from 1905 to 1932 with the historical ranch and its Wild West Shows. He is credited with the innovation of what is known today as the rodeo sport of “Bulldogging”. In August of 1999, the 101 Ranch Old Timers and other sponsors unveiled a handsome stone monument for “Princess Wenona at her Ponca City I00F grave site. The four foot tall black marble memorial headstone features the image of Princess Wenona along with her record breaking accomplishments as a trick shot artist and association with the 101 Ranch. In December of 2004, the Old Timers group hosted a national television film crew doing a segment for the History Channel series, “History’s Mysteries”. On the subject of the 101 Ranch, that episode aired in 2005. During the summer of 2007, the 101 Ranch was chosen as a topic by the Oklahoma Educational Television System broadcast series “Oklahoma Horizon” (www.okhorizon.org). It also appeared internationally on the Dish satellite systems’ RFD-TV network (Dish satellite channel 231). The 101 Ranch OTA offers a single DVD on the history of the 101 Ranch. Produced by Ken Greenwood and Cox Communication Company, the DVD is titled, ‘Cowboys and Tall Grass Country-The 101 Ranch”. 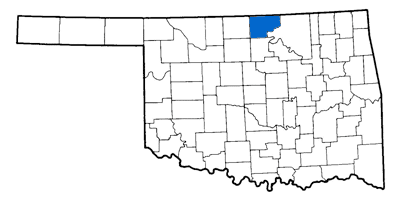 The information on the 101 Ranch was taken from: The Noble County Genealogy Society History of Noble County Oklahoma Perry, OK: McNaughton & Gunn, Inc., 1987. 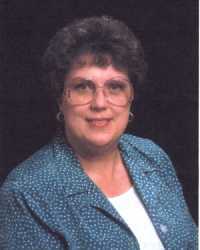 Permission was granted by the Noble County Genealogy Society to Cheryl DeJager and the Cherokee Strip Museum to use this information for research purposes. The information should not be used for publication or for other purposes without the express permission of the Noble County Genealogy Society. Sarah--you have a treasure chest full of valuable items! How exciting and intriguing. I knew about the 101 Ranch, but certainly not this much. The history is amazing, as are the men connected with it and the Wild West Show. The photos are wonderful--you know how I love old photos! 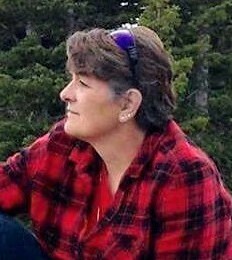 Thanks for a wonderful research job and post--and I know you loved learning more about it, too. After such an illustrious history, it's sad the way the 101 ended up, isn't it? Thanks to things like your old posters and pictures, though, the 101 may be gone, but it'll never be forgotten. Sarah, your post is a refreshing read after reading the morning newspaper. I love the fact you received your grandfather's trunk and discovered a false bottom in it! Fascinating! I was impressed by all the historical facts you uncovered and am compelled to read your book now! Thank you for the article and the photos. You're so right, Celia. That old family trunk has been a source of inspiration for me so many times. I have passed the trunk down to my nephew since I never had children. He takes good care of it and has helped me by taking pictures for me to use. I have to really appreciate my Grandfather McNeal for having the foresight to save these family treasures in that trunk. I love old photos, too. 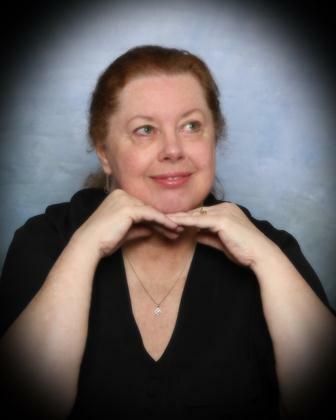 Thank you so much for commenting on my blog, Celia. Golly Kathleen, I honestly never thought of using the 101 Ranch in a story. I did write about a traveling circus for the fall anthology, but not a wild west show. Maybe I should give it some thought. 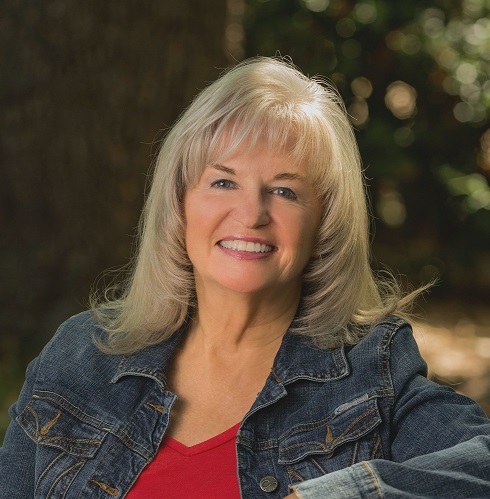 Thank you so much for taking the time to come by and read my blog. This was a fun one to write. Claudia, I feel so privileged have had this trunk for the years I had it. Its contents have been an inspiration in several of my stories, The Violin and Harmonica Joe's Reluctant Bride, and to some degree, The Beast of Hazard that will appear in the fall anthology from Prairie Rose Publications. I love research, and this one was particularly fun for me. Thank you so much for commenting, Claudia. Great information on the 101 Ranch. I dug through their history for a story I just completed on performers in a Wild West show. I never realized how many were out there until I started digging. Kirsten, the Miller brothers and their associates were some very interesting men. I bet you loved researching the 101 Ranch as much as I did. Thank you so much for coming. I can't wait to see what you wrote from your research. A very beautiful, sad and engaging post. Thank you for researching the ranch and being able to write this story. It is so sad, how so many entertainers are forgotten, and end up destitute. It still happens today. All the best. Loved the post, Sarah--as you know, this is in my neck of the woods, but oddly enough, we never learned about any of this in school, right here in our own state! But here's another little tidbit about one of the extraneous "players" in this story, our 10th governor, E. W. Marland. This came from Wickipedia, but for some reason, THIS we were taught in Civics class in 8th grade, because I remember the "ick" factor. LOL Marland and his first wife, Virginia, did not have any children. To share their wealth and help her sister Margaret Roberts and her family, in 1916 they adopted their two children, George and Lydie, who were then 19 and 16 years old. The Marlands sent them to private school and gave them other advantages. Two years after Virginia's death in 1926, Marland had Lydie's adoption annulled. He married Lydie Roberts that year, and she later accompanied him to Washington, D.C., and the governor's mansion. See? Money really can buy everything and anything. LOL The Marland Mansion was for a long time a showplace in its own right--I never got to go there, but I think I feel a day trip coming on if it's still open to the public. I would love to just drive by and see the ruins of the 101 Ranch, just to see where it stood, too. That's a long, desolate stretch of empty road where once such greatness stood. Wonderful post! JoAnne, it does seem that frequently, fame is fleeting. I think the big problem for entertainers, is they don't financially plan for a future without the huge income they've become accustomed to. Research is the fun part of writing an historical. I think it often happens that we don't visit the historic landmarks in our own back yards. 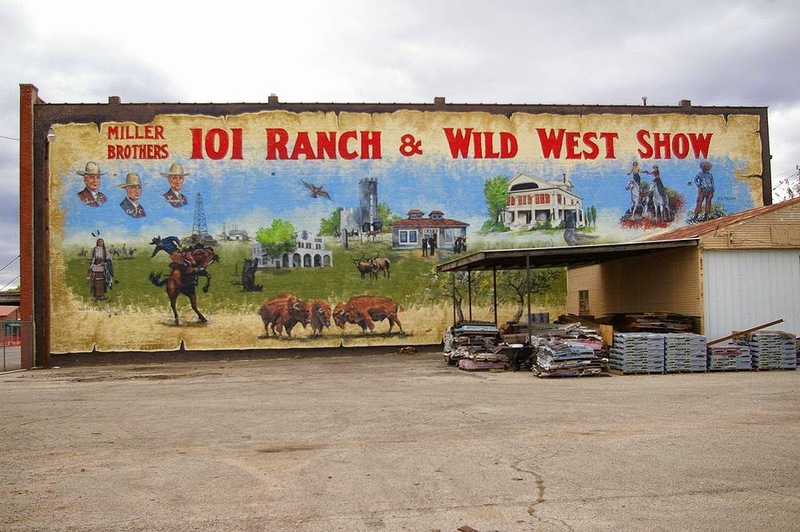 You should check out the 101 Ranch and tell us if they've done anything to it. I'd love to know if they have. What a huge ick factor with Marland marrying his adopted daughter. Reminds me of Woody Allen. Creepy! I don't like long desolate roads. What would you do if something happened to the car and you had no cell phone service. It's a nightmare scenario. Yikes! I know you're super busy, so I appreciate you taking the time to come by and comment. Thank you, Cheryl. Great post, Sarah! You are so lucky to have your grandfather's trunk. what a treasure trove! The story of the 101 Ranch and wild West Show is so interesting -- and sad. Thanks for sharing you research. I'm so grateful you shared your historic find in your late grandfather's trunk. What a treasure you have. I enjoyed the post. Lyn, I had no idea how much I would use that trunk for inspiration, and I certainly had no idea of the historic things it held in my young years. When I wrote The Violin based on my Uncle John's adventures and his death, I found his letters in the trunk. Those two letters were like finding the Holy Grail. 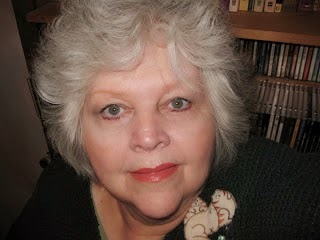 Doris, thank you for commenting on my blog. I'm so glad you liked it. Caroline, I have such gratitude to Grandfather McNeal for saving all these treasures for future generations in our family. What insight he had to save these things for us. A friend of mine was inspired to start her own trunk after seeing my grandfather's trunk. Thank you for coming by and commenting on my blog.